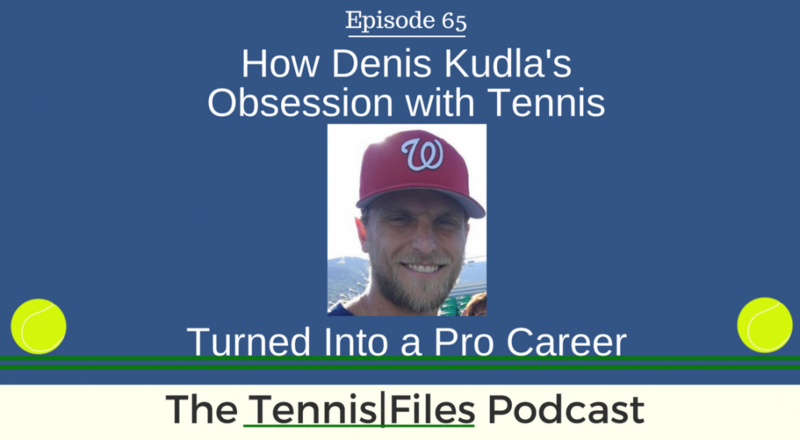 On Episode 65 of The Tennis Files Podcast, I spoke with ATP world #73 Denis Kudla about how his obsession with tennis turned into a pro career. Denis turned pro as teenager and has had his share of ups and downs, but through it all his passion for the game and excellent support system has helped him catapult back into the Top 100 once again. Denis has always been one of my favorite players to root for because he is from Arlington, Virginia, which is very close to where I’m from (Maryland), and also because he is a very down to Earth guy. I first met and interviewed Denis at the Citi Open last month after he and Frances Tiafoe played a doubles match (two in the same day actually). Denis wore a Washington Capitals shirt, which has been the pride of DC for their championship win (and one of my favorite hats to wear). Denis was kind enough to make some time to speak with me while he was in New York preparing for the U.S. Open. You’ll hear Denis talk about his tennis career from the beginning, how he trained as a junior at the Junior Tennis Champions Center (JTCC), why he has always prioritized fitness, and how he bounced back from the lowest point of his career. It was a pleasure speaking with Denis on the podcast, and I wish him all the best in his career. Let us know what you think about this episode in the comments below!